Yes, work hard - but that doesn’t mean being a martyr or staying in the building every night until seven o’clock. Work smarter not harder. When it comes down to it, I can be pretty lazy, really! But, I do work some nights and weekends - OK, a several nights and weekends - but that’s my choice and it’s usually from home or at the beach wearing fuzzy socks & PJ’s with Bravo TV on in the background. Don’t judge me. I curate, I share, I write a little, blog, Tweet, chat, plan, dream, and strategize. Sometimes to be the best we can be, takes a little extra personal PD time outside of school. It’s worth it. When things get tough or daunting, it's really important to take stock of what's really important: the kiddos. 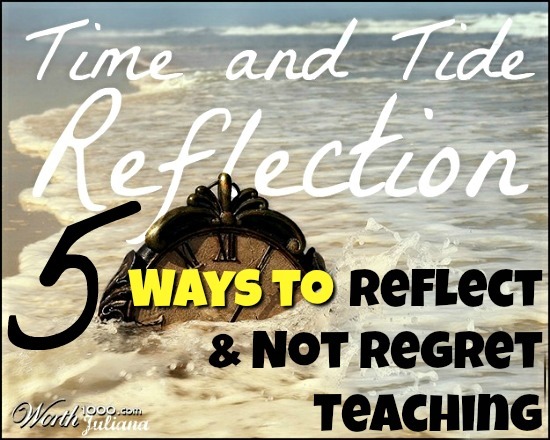 During the summer, I take time & tide reflection - considering the things that went well in the last year. 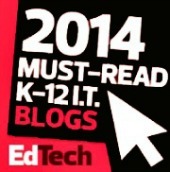 Lessons that inspired, projects that showed promise, and programs that popped! I also think about the things that didn't go so well and how I could improve. Sometimes though, you can't change a situation but you have to learn to graciously accept it - and then work around it cleverly. 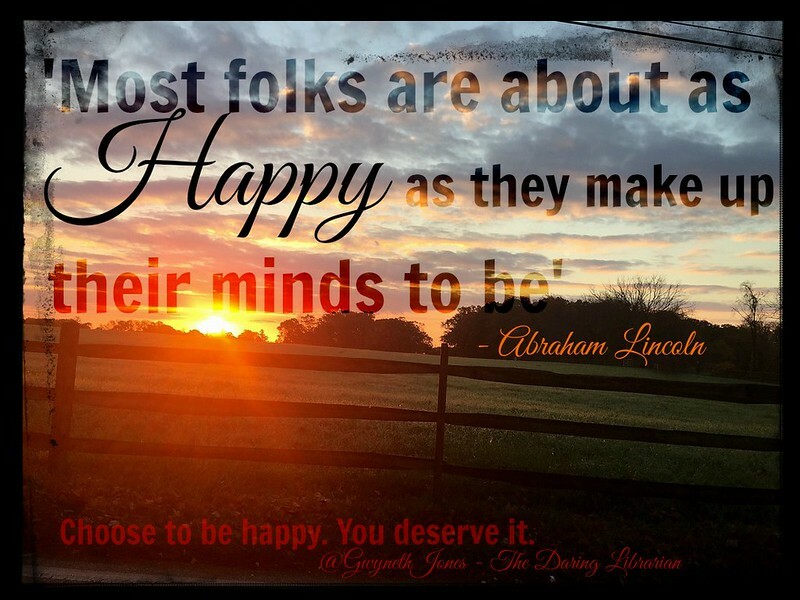 Happiness is a choice! Optimism, too! Sometimes it's a difficult choice, but a necessary one! 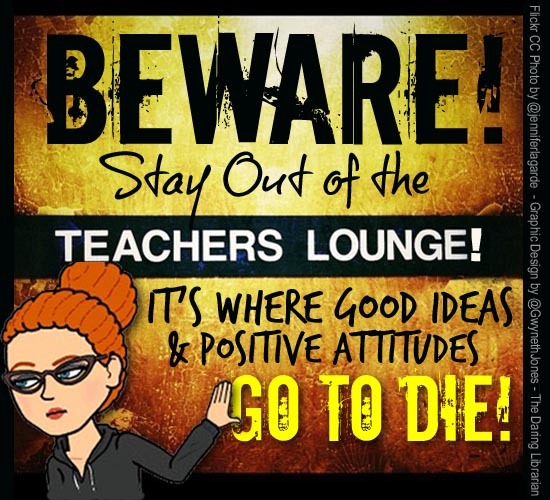 Teachers & Teacher Librarians can sometimes get bombarded by the negative when they go into the lunchroom or talk with other teachers. Sometimes people don't "get" what we do. They think we sit around and read books all day (I wish!) and they might be envious that most of us don't have to do grades (insert classroom teacher woe here) I get it. We & our job can be misunderstood. It's important to steer clear of the Negative Nelly's, Debbie or David Downers. Strive to avoid that toxic downward spiral and commit to staying positive, professional, and upbeat. If this means you eat with only a few teachers, by yourself, our go out and drive to the closest neighborhood park at lunch, do it! We have the best job in the world and every new school year and every day is a new start and adventure! Bonus, staying positive and upbeat drives the haters and funpires crazy! Get Mentoring & Pay it Forward. I would also give credit to a lot of the successes I’ve had with the amazing mentors I’ve had along the way. I’m looking at you Dr. Joyce Valenza, Julie Wray, and Doug Johnson! Mentorship is really important, then later on- paying it forward. Look around you and find a kindred positive spirit, a great natural talent, and support them. 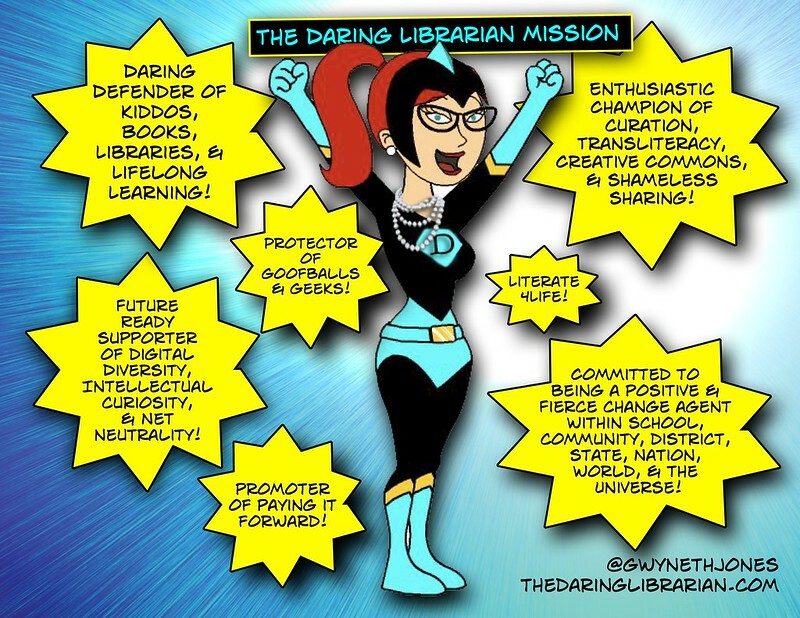 I’m lookin at you Danielle DuPuis, Tiffany Whitehead, and Jennifer LaGarde - you’ve done me proud, are amazing librarians, you have surpassed me in many, many ways! You are also a constant inspiration to me, and are now amazing mentors of your own. 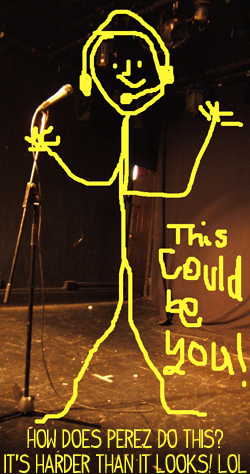 Why not talent spot a young or first year teacher? (Like a cult, love bomb 'em and bring them in young!) Find one that you take under your wing, help out lots, & encourage them along the way. How have you crafted your brand? What branding advice do you suggest? 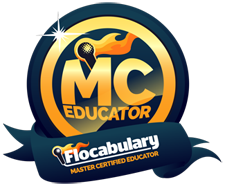 Some educators wince and make a face when the subject of branding comes up. Like it’s a dirty word. Consider, another word for branding is reputation or mission statement. A brand exists only in the mind of the consumer. In our case, our students, parents, teachers, staff, and community. A brand is what they think they know about your organization—driving an emotional reaction. Branding isn’t really about finding a cute name like, The Mighty Little Librarian, The Nerdy Teacher, Library Girl, The Digital Diva, or The Daring Librarian - though I love those peeps and my name has served me well - it’s more about crafting your message and refining your professional mission. To start, I would suggest writing a mission statement. Think about what is important, and what matters to you. Is your library, classroom, and program focused on: lifelong reading and literacy, creativity, constructivist learning, and making? Is it future ready, brain centered, participatory, transparent, positive, and becoming a vibrant and active learning commons? Sure, use all the buzzwords you want, but mean them and be able to back them up. When crafting a mission statement, really think about what is important to provide, every day, to better serve our most important customers - our kiddos. 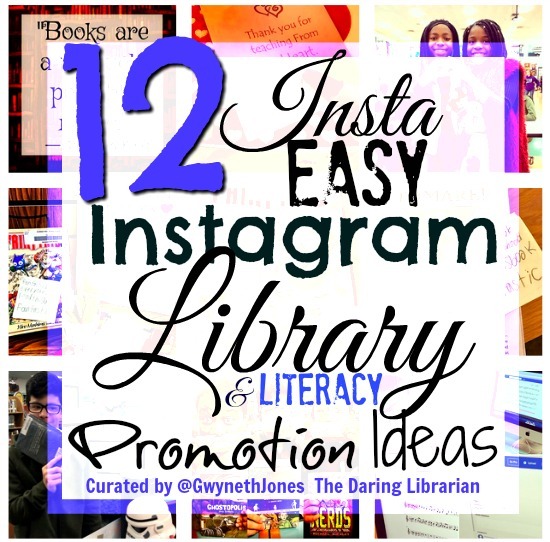 Next, I would think of ways to promote the awesome that goes on in your library every day. Don’t worry that it looks like you’re showing off - you’re not - it’s sharing with the community! Don’t humble yourself out of a job and don’t hide your light under a circ desk. But at the same time, make sure the sharing is at least 90% is student or professionally focused! Don't let it be selfie, after selfie, of YOU. Because it’s not all about you - library branding and your mission should be mostly about them. Our kiddos and our community! 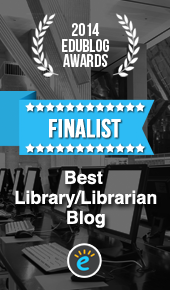 Though, the content you share about the daring educational practices and innovations that you employ in your program and with your kids, is worthwhile, because it helps other librarians and educators, and will eventually be good for you professionally. To impress your Principal, your Supervisor, & your Parents! There’s nothing wrong with being very good at your job and wanting to succeed. Just always remember to keep it kid and professionally focused. Yes, I dig that! The easiest way to start branding and sharing with the community is with a professional Instagram and or Twitter account account. Super cuteness during my 7th grade lunch duty! In other words, I have purposefully and intentionally NOT used Social Media in any kind of personal way. For some, that might seem like a sacrifice – for me, it’s been both a blessing and sort of a relief. Though that doesn’t mean I don’t share a great sunset, a video of my nephew playing with his Virtual Reality goggles, my Mom’s fabulous Thanksgiving turkey, or a selfie reading at the beach. Sharing occasional personal content shows you’re human - and it’s good for kids to see you also have a real life. If you’re going to only pick one, I’d choose Instagram. Our kiddos really are really not so much on Twitter (Shocking. I know, right?) and they also think Facebook is sorta fuddyduddy (though they might have one, they don't "live" there) but almost every kid I've talked to lately has Instagram! Creating a professional Instagram account ensures that whenever cool things go on at school, I can handily snap and share them with our kiddos, parents, community, & the world! Most teachers and librarians have their cell phones with them anyway, why not get together to make it a powerful sharing tool? Connect it to your Twitter for easy Social Media cross posting! Create a sign that says: “Follow & Tag Us On Instagram!” and post it around the library so that kiddos can see themselves doing cool things! This is a positive example of how social media can be used. 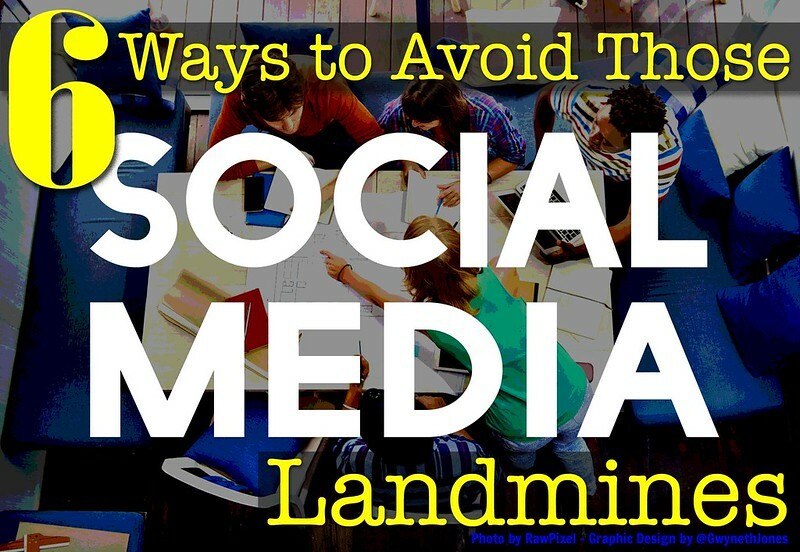 Finally, as I mentioned in an article I wrote for NEA Today Magazine called - 6 Teacher Tips to Avoid Social Media Landmines know your district posting policy. 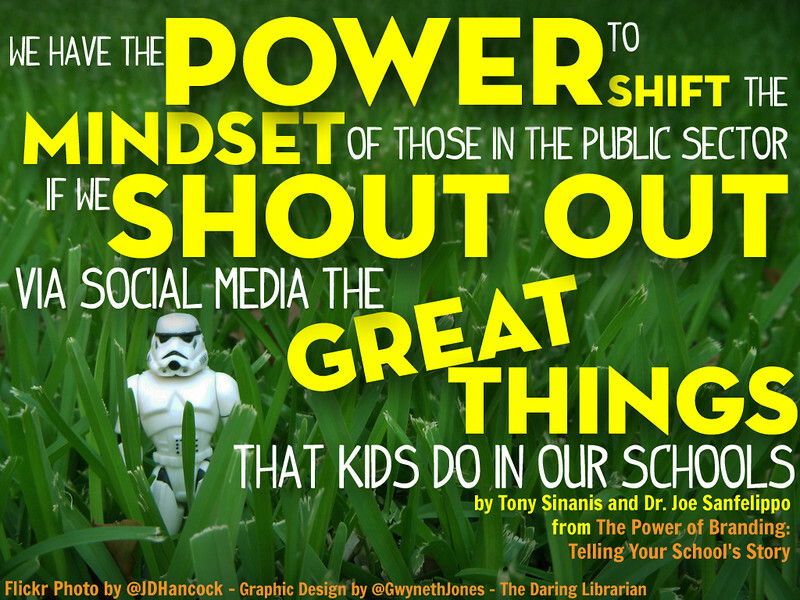 Does your school district have a policy about teacher social media sharing? If they do, read it through carefully and follow it to the letter. What advice do you have to give to a new librarian starting out? & Step Up to the Mic! So, how do you become a Rock Star? I think we're ALL Rock Stars!...Or we all have an inner one waiting to come out! Whatever you do, dare every day trying new things working hard, and doing your best. Allow yourself to bring out your inner rock star, Be reliable, be reflective, strive to stay positive (even if it kills you! ), and always always keep the kiddos the main focus of what you do. 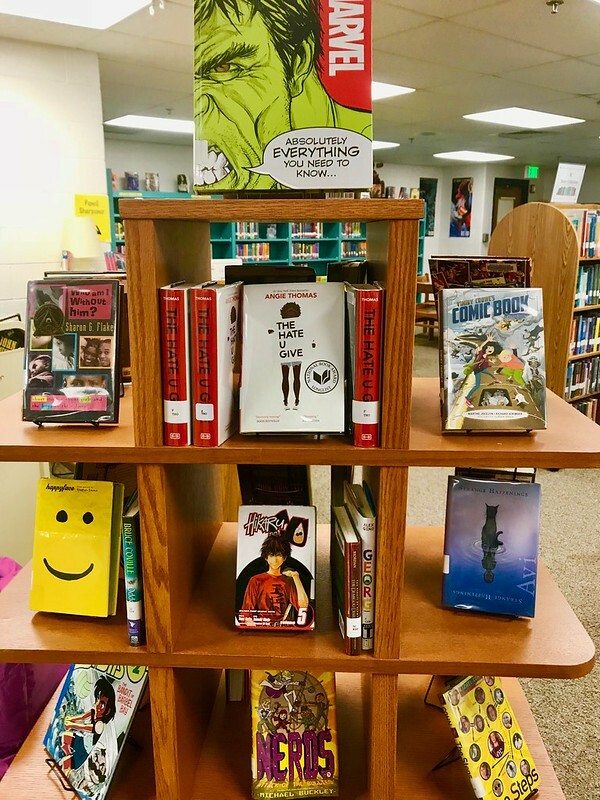 Share shamelessly the awesome that goes on every day at your school and the helpful content you create so that other teacher librarians can find it just a little bit easier. Pay it forward. You will never regret being kind. These are all things that I gotta remind myself every day! And don't guilt yourself or beat yourself up if you don't do everything you wanted to do ....there's always NEXT YEAR! YAY! Because I definitely in the last 25+ years have had great years, super years, and a couple meh years. Years where I just shook my head and went Whew! When June 20th came around. Remember, next year is a new start. I really created this graphic for me, to remember. Because, well...I have a snarky sarcastic sense of humor and I can be impatient and am easily irritated over stoopid stuff. So, remembering to take a deep breath, smile, be kind, bless their hearts, and practice patience is a good thing. Am I always successful? Nope. But I keep trying. And trying. and trying again......Never stop trying! Just do your best, that's all we can really do & remember - it's NOT about US...it's about the kids. Yeah, I made this one for me, too. But heck, aybe we could all use this! Hit me up in the comments with your ideas & thoughts! Thank you, as always for visiting and taking the time to read my blog! Hope you found something useful. OK....still reading? I'm gonna be honest here. Stop reading unless you want to hear some TMI personal stuff. That I rarely share. I've always said never apologize for not blogging. But this is why I've been kinda quiet. This school year has been brutal. We've had some really tragic things happen. A good friend of mine, a truly gifted, sweet, kind, wonderful, Social Studies teacher who started teaching in our school who I mentored a little years ago...she recently went to teach in high school and I missed her terribly, but she was AWESOME there! Her kids loved her. She also came back to MHMS help us with our school plays...anyway, on the second day of school we found out that she was missing. 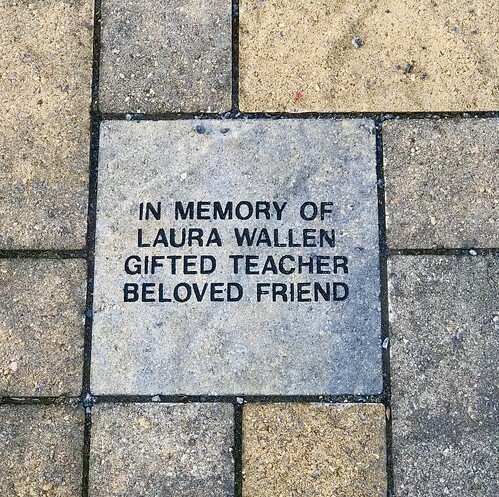 Her name was Laura Wallen. She had come to school the week before the kids, set up her classroom, got it all sorted but just didn't show. It wasn't like Laura to not show up for school or not call in for a sub, especially the effing FIRST DAY of school! Something was wrong. She was also 4 months pregnant. She had the sonogram on her fridge. I Tweeted her picture, I texted & DM'd her on Instagram, frantically, pleadingly. Maybe she needed a break, maybe everything was just too much. But she also left her dog alone. She never would have done that! She later was found murdered. By her @#$%#$%% boyfriend. Who I always hated, he broke up with her and cheated on her time and time again and she always took him back - not worthy! - She was so smart in so many ways but not about guys - she could "save him". This piece of trash went on #@#$@$ TV tearfully with her sweet parents asking for help from the public. But he had taken her out to a field and shot her in the back of the head and then sent texts to her sister as if he was her. He left her in shallow grave and then went on TV with crocodile tears. I screamed at the TV because I knew, somewhere deep inside me that if she was not hiding out that he had something to do with it. He was arrested & is in jail now. May he rot in hell. May the Lord forgive me for my anger. Then, a former student of ours was shot in a drug related drive by, in my kids neighborhood! Maybe even witnessed by some of my kids in the neighborhood. WTH? AND this young man was shot by another former student or ours, AND then....the next week -or the week after it was a jumbled time- another of our former students - unrelated, still in high school, committed suicide. Then one of our former teen girls, a sweet dear thing of only 15, disappeared with her 20 something boyfriend, maybe left the country. That did not make the news. It burns in my heart that it didn't get any media attention. I still don't know what happened with that. So yeah, it's been a tough school year so far. I didn't know how to authentically share this on Social Media. It seemed wrong to me. Because it's so not about ME it's about HER and her family. I did, back in Sept., when we were looking for Laura, when she was missing because I wanted to get the word out to find her! But after we found out -- what happened - I just ...to say anything about it felt awkward, like attention seeking, and wrong. 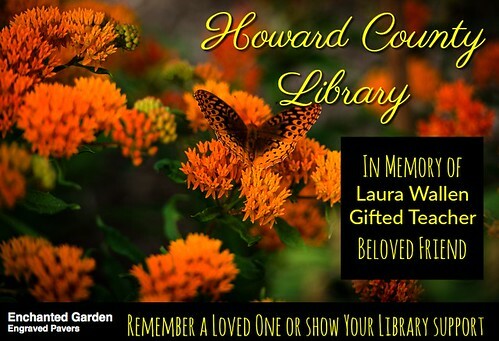 Her family knew we loved her, I bought a brick in the butterfly garden of our local Library dedicated to her (that made me feel a little better, she would have loved that) Retail therapy. And then I guess I was just quiet. Of course, depressed, grieving, and just.....frozen.I couldn't even go to the memorial, because I probably could have handled the grief of my colleagues and friends...the grownups & their grief - but not the kids or Laura's sweet parents - I wasn't strong enough. Ever since I was a little girl I've hated funerals & memorials. I like to grieve in private. I used to be waitress & worked in PR, I can do this. But at the end of the workday, esp on Friday afternoons I would find myself just EXHAUSTED mentally & emotionally from the effort it took to just be normal. Gah! 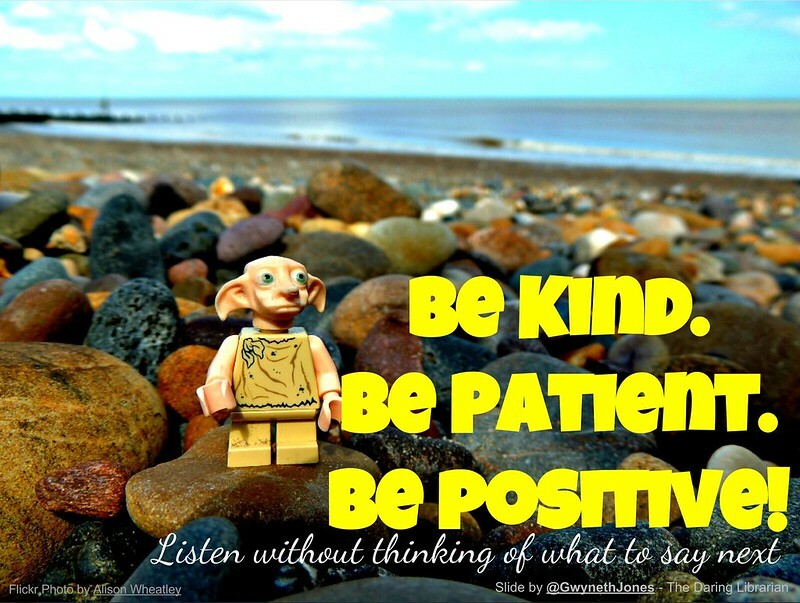 I tried to follow my own advice and focus on the positive and being there for our kids. I also have a new principal. She's super smart and nice but I feel so bad for her to have to deal with this right off the bat. Anyway, I probably will delete this tomorrow morning, or in a few days, or weeks because I really feel so awkward being this personal and vulnerable publicly. Sheesh. Wimp city, eh? But it does kinda feels good to just type this out. Cathartic. I'm really not good with awkward human emotions. Seeing the kids distraught was the worst. I wish I was more Vulcan. Working on it. Please add me and our school in your prayers. Our whole community. Thank you. Bless you, my friends. You might want to give it a whirl! Please still keep me and our school and Laura's family in your prayers. 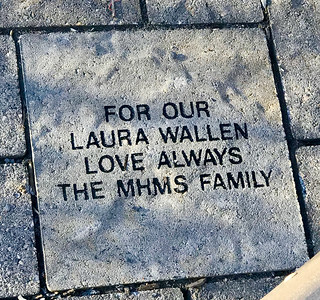 I also think come this September, when the trial is supposed to start and the year anniversary of the murder, I know it's going to be harder for all of those who loved, Laura. for the love of Laura. Please, dear God, please let me get past this anger at the monster who took her life, and the life of her baby, Reid. He who does not deserve to be named. Not out of fear of the thing (like Voldemort) but out of disgust. Well, we were all bracing ourselves for the pain of the trial of this piece of trash this month a year to the day that it happened. We knew it was going to hurt, it was going to bring up all kinds of details we already knew and felt terrible about, and maybe some we didn't know (or want to know) but ....then something happened. The night before the trial was supposed to start he called his lawyer about what he was going to wear the next day. He wasn't under supervised watch. But from the time that he woke up in the morning, to when they came to get him for trial, he hung himself in the cell. He was dead. I found out when I got to school that morning around 7:15am. First thing out of my mouth? A shouted, "Oh, Thank God!" and instantly was remorseful because that's NOT a Christian thing to say. But I just kept thinking of Laura's parents - Mark & Gwen. As a friend texted me later that morning, "what a f#*@g coward" Though it would have been painful, the trial - at least there would be closure & justice. [smh] Still really grieving. Go days not thinking about it and then bam! Something will remind me. Still praying. What a piece of trash, a despicable human being, may he burn in hell. His double life, his selfish lies, his deceit. Narcissist. Evil. Please, Lord - let me not give him the satisfaction of my anger. Please dear Lord, let me to continue trying to see the positive in this world, count my many blessings, appreciate the profound privilege and passion of being able to teach my wonderful quirky Middle School kids in my School Library. I'm so fortunate to have a close & loving relationship with my family. My Mom & Dad are two of my favorite people to spend time with. I have wonderful friends. I've loved and have been loved. I laugh WAY more than I cry. I have books to read and Bravo to watch. I am grateful for every day that I am gifted with. But this thing, this atrocity, has left a mark on me. This past Christmas? I was not doing well. Sad. Don't feel like blogging, writing, even my chirpy helpful Tweets & Instagrams are sometimes a little hard to do. Thank goodness I love to take pics of my kiddos. That's actually cathartic. Still sad but feeling better. You know what's great about having a professional Twitter & Instagram? You can just focus on the kids. (It should already be our focus, right?) but it's kinda comforting to hide behind the kids. 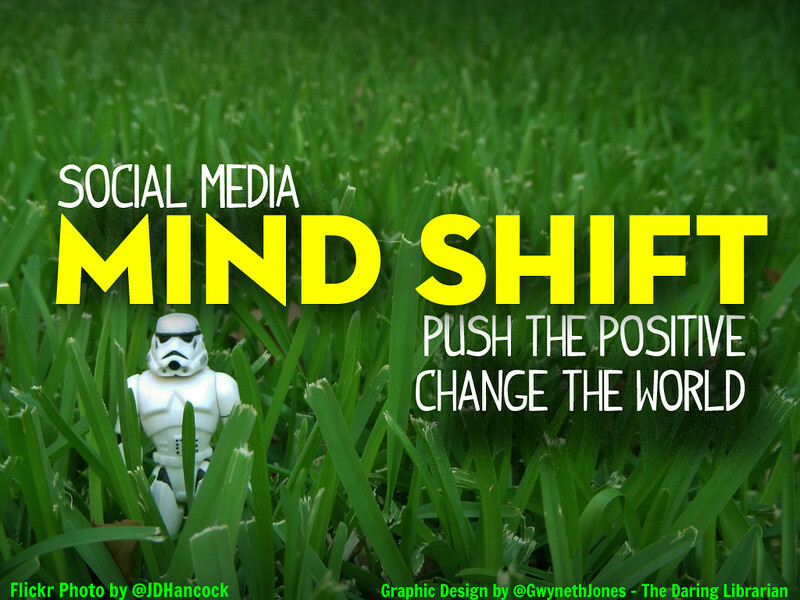 Social Media shy? Take pics of your kids being awesome & post them. NO ONE IS MAKING you take selfies, you know! LOL Frankly, when I scan over a librarians or teachers social media and it's a lot of pics of themselves? Yeah, I roll my eyes and probably don't follow them. Turn the camera around girl & take pics of your kids, your classroom, your library, your school, your co-workers, your world. Not you. Oh sheesh, look...I just got preachy! Must be feeling better now. Well, fancy that. I do know though, that the blue is likely to come back. Thanks for listening. Thank you for your honesty. You are inspirational! 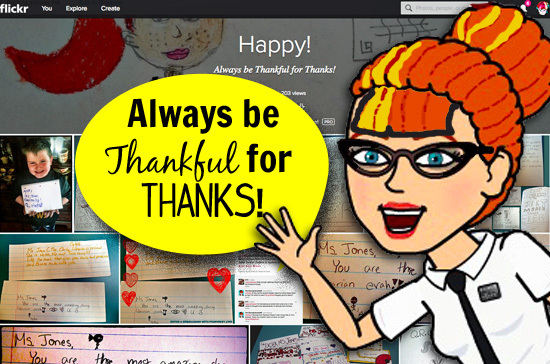 Thanks so much for your comment, your kind words, , & your readership! Oh my gosh! I read this amazing post and SO needed it! As you know, I've moved from high school to elementary and in trying to do everything, I feel like I've not done much of anything. LOL...anyway, I got to the end of the post and read your comments about the personal side of things in your life and school and am truly touched and saddened by these events. There are no words, but know that you have my love and support. 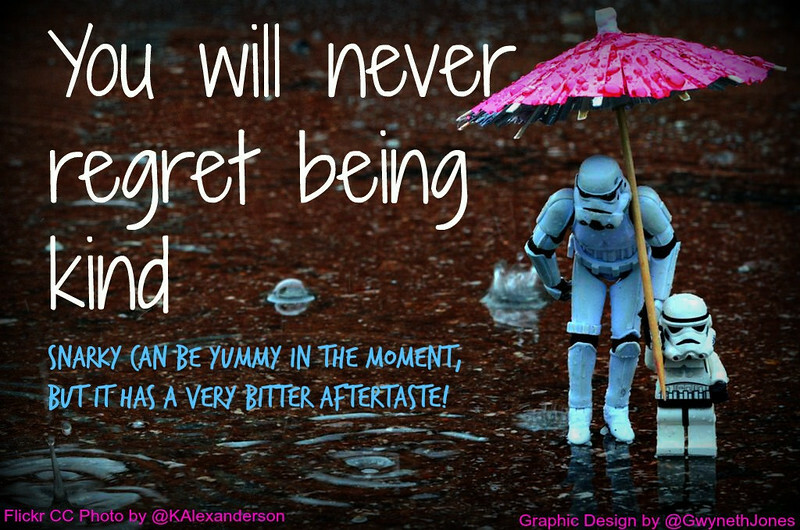 Keep rocking out the awesome advice and just stay focused on your kiddos....they can help you heal, right?! This article was a perfect end to my school day today...after many missed days of school due to holidays, snow, ice, etc. I was finally back in the library and reading with my first and second graders. I feel so blessed right now. Thank you!!! Awww, Leigha - thank you so much! Your kind words made me feel better. I'm so glad you liked the post. See you on Instagram, sweet friend! 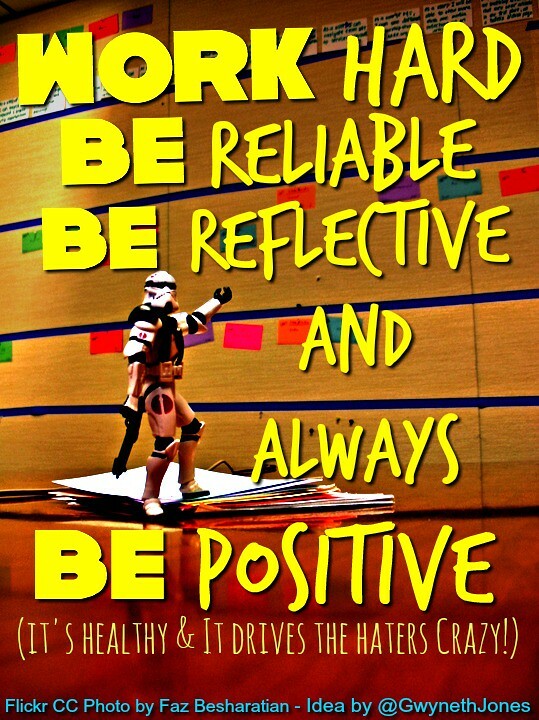 Work hard, Be Reliable, Be Reflective, and Be Positive! I've made our main objective for this space to be SAFE. This has proven to be successful! Jr/Sr High students seem to LOVE coming to the Library! Imagine that!?! :-) They also enjoy seeing themselves on my Instagram (because they understand my FB page is family & friends, and I try to keep them separated). Today is actually my first day at diving into the world of blogs. It is an assignment for a teacher-librarian course I am taking. I have spent several hours finding and reading many, many posts. There were lots that had ideas that I could pull and learn from. I had spotted your blog as I went through a list I found online. 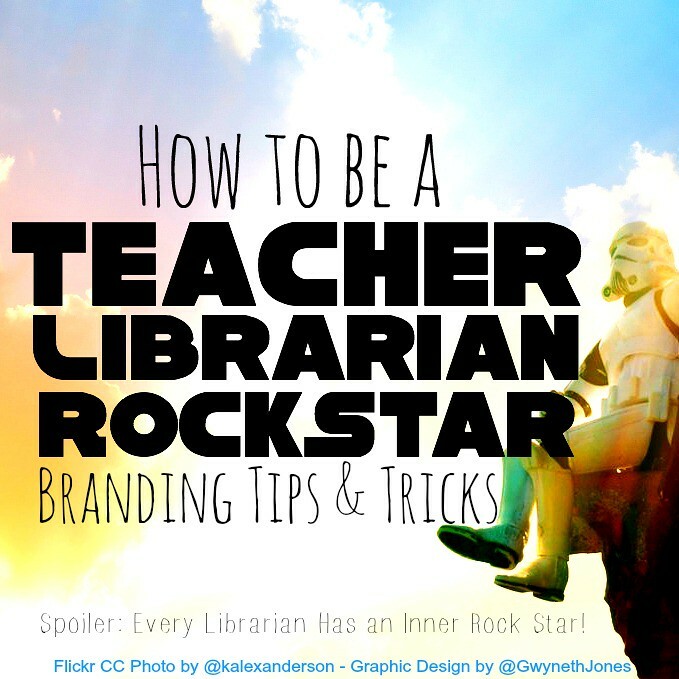 The title caught my eye “How to be a Teacher Librarian Rock Star”. It was a perfect hook to get me to read your post. I am a music specialist and you know that there is a big correlation between rock starts and music. I have read so much since the start of this course. Besides your title for your blog, it was your use of a variety of styles of graphics that brought me back to actually read through everything. A lot of the information you mention has been covered in my course work; however, it was great to read and see everything in such an eye-catching format. You have provided so many suggestions, with links to past posts. This makes a wonderful source for developing ideas for my library. Your words of wisdom for new librarians starting out are so on the mark too. Thanks Patti for your kind words & helpful comment! Welcome to the world of blogs! What class are you taking and with whom? Do you have a class hashtag? I'd love to say Hi & keep in touch! 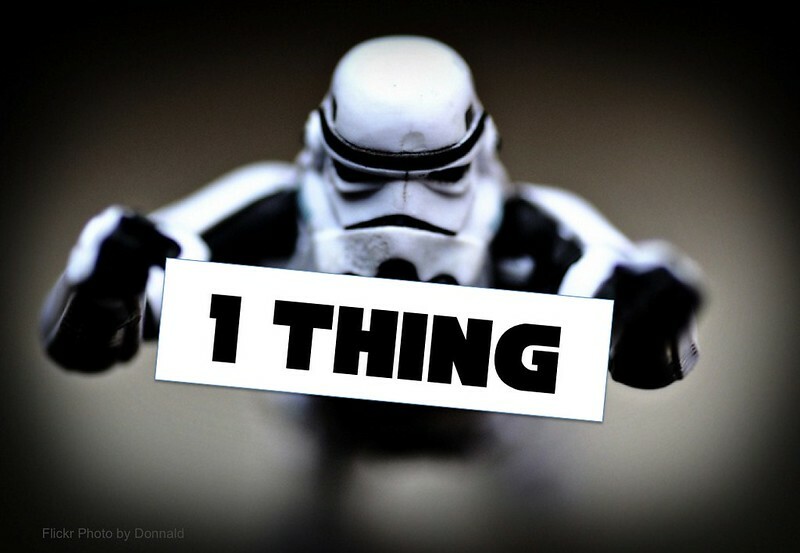 One thing. That's all you, or anyone, needs to keep in mind. It's so easy to get overwhelmed but when you narrow your focus, things become really do-able! 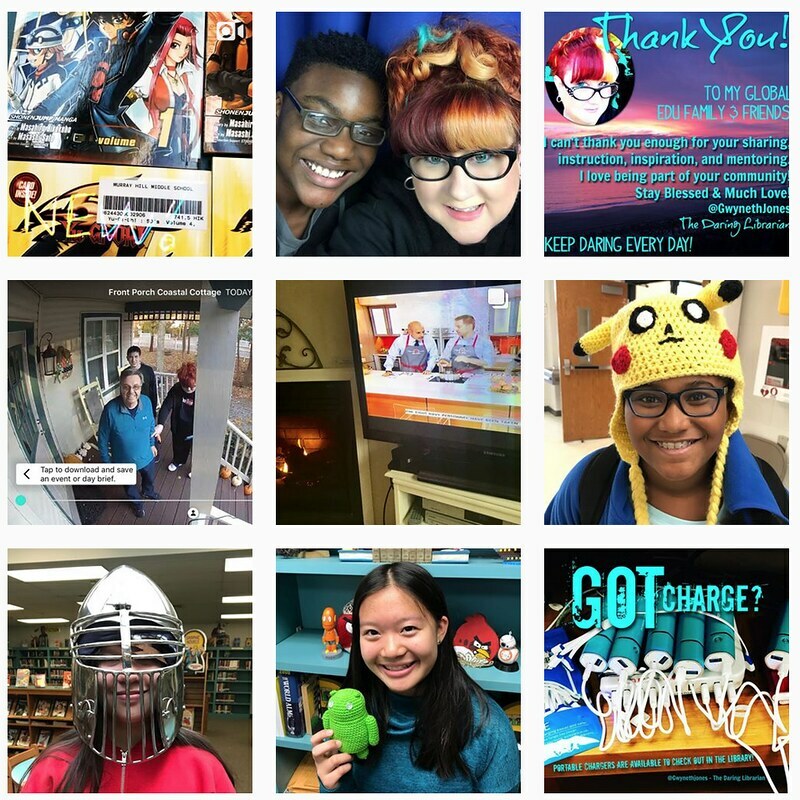 Other blogs you might want to check out - Tiffany Whitehead - Mighty Little Librarian & Jennifer La Garde - Adventures of Library Girl - and of course MY mentor - Dr. Joyce Valenza - Never Ending Search blog! Cheers dear & stay in touch! Tweet me, mention this comment, & I'll be sure to follow you back! What a wonderful blog to stumble upon. I am actually in the same situation as your commenter Patti - new to blogs, in a librarianship program, learning to navigate new technology and ideas... I really appreciate your candor and am looking forward to continuing to follow your blog as I venture on this new career path. Your comment about not trying to master everything at once, but to " master the foundation of the job, then you can start adding the sizzle" was very appreciated. Only 1 week into my new program and I am seeing the massive diversity that this career path brings with it. 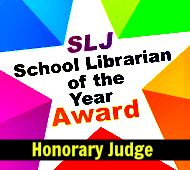 It is somewhat unnerving, in particular because my mentor is a teacher librarian rock star. But I think that that idea of perfection, especially when one has taken steps to become a specialist in one's field (ie librarianship) is quite natural. It's human nature to want to be the rock star we know we can be. Thank you for the reminder that rock star doesn't necessarily mean doing it all right now and to take the steps to support the journey like keeping the old school clipboard to do chart and connecting with other teacher librarians. If you had to go back to the beginning of your career, knowing what you know now, but could only start with one "sizzle", what would you try? 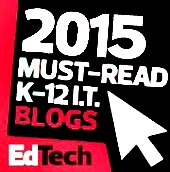 Thank you for the advice that you have provided and the great tech tools you have listed. Upon reading your blog it was fun to get side tracked on to some of the web tools you use. Your use of graphics and flare showcase your enthusiasm for your profession and make me a bit more excited for this journey. I will be keeping you, your school and your community in my thoughts and heart as you move through the challenges that you have been faced with. Don't forget to follow your own advice and set up a support system and not try to overdo it in the face of such travesty. It is evident that you must be an excellent pillar of support for all those touched by the losses. Thanks for your practical library advice - makes such sense and aspects I’ve practiced as a teacher over the years. 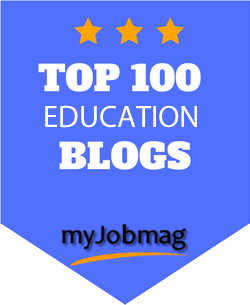 I’m 50 and have just started my new career in the library and studying my Masters in Education library studies part-time so are trying to soak in all advice and strategies, yours are fantastic- practical and inspirational. Thanks also for your vulnerability in sharing your hurt. Don’t be Vulcan. I’ve been through tough things in my life and had to “put things in boxes on the shelf” in order to get through work and raise my kidlets. But if things stay in boxes at some time, all the lids come flying off and you get hit in the head, heart and guts with full whammies! Model to your kiddos a person who is hurt and how to handle that healthily. Hiding it or being Vulcan isn’t healthy (from one who tried both). Do with your kiddos and colleagues what you’ve done with us, tell them you’re hurting, your grieving, you’re sad and you don’t know why bad things happen to good people. Tell them you’re feeling angry and struggling to forgive but you hope, with God’s strength, to one day forgive. Tell God your mad, etc. He’s big enough to take it! Ask Him to help you learn to forgive as you don’t want to be be bound by anger etc. as the #%# boyfriend and all the bad stuff wins. I used to think that forgiveness was simply words said and “letting someone off the hook”. But now I know it releases us from their hold and also from bitterness. I used to think vulnerability was a synonym for weakness and something I wanted to avoid at all costs. But now I know that vulnerability is actually central to my emotions and feelings, the very thing that allows me to love, take risks, be real and experience joy - I trust you’ll find the same. Thanks for your courage and I’ll pray for you and your school. Hey Janene! Thank you for your kind comments & heartfelt encouraging message. It's really never been easy for me talking feelings and emotions too much - I've always been a private person. Which is funny, because I've always been a super talkative outgoing voluble gregarious person - just not about serious stuff. I like to joke around that I'm deeply shallow! But, you're right - maybe showing my vulnerability side rather than my faux Vulcan side, is not only healthier but more authentic. I'm 52 - I guess it's never too late for personal growth. Thank you for being so genuine & caring. Please reach out to me if you're on Twitter, I'd love to keep in touch! 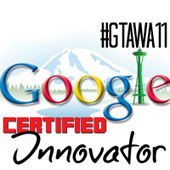 And even if you only lurk & listen - it's the BEST way to connect, get great Edu & TL ideas, and to get inspired! Thank you for being you. You are not only daring, but caring! I am so sorry to hear about the many very sad & unfair happenings in your area. I cannot imagine the depth of your grief as I know how very affected I was by the death of one of our teachers who came from another area....but was at her school preparing her lessons for the casual, for her upcoming wedding and honeymoon the next week. The cleaner- yes the cleaner ! No-one could have predicted that. So many were affected. Her fiance lived through what was so cruel-typically being a suspect on top of his loss. I felt uncomfortable from that day on just being at school on my own....before I had been happy and unconcerned. Thank you Audrey, my sweet Aussie friend for your kind words. I will quietly grieve with you through these senseless tragedies. Hugs. Hope someday to come back to your lovely land. My dear Auntie Lynn, I love you so. Thank you dear. 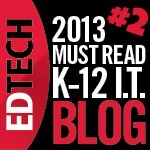 Like some of your other readers, I stumbled upon your blog as part of a Teacher Librarian course. Am I ever glad I did. This single post has more amazing advice than some entire blogs I have read. I also love the flair with which you write and design. It's clear that you know how to connect with students and the broader community. I will definitely be subscribing and checking out some of your other posts. I've been a classroom teacher for 15+ years, but I'm new to this whole world of librarianship and you have been very inspiring. I love the idea of beginning with a mission statement. There are so many aspects to the job and the field of education, it's important to decide what really matters to you to guide your work and keep you on track. I've tried to do that as a classroom teacher as see the value of it as I move into a new role. It's nice to learn there is so much support in the Teacher Librarian community, and I look forward to becoming a member some day soon. Also, I realize this post is a few months old now, but I wanted to offer my condolences for your tragic loss. I hope you have some time to grieve, rest, and take care of yourself now that the school year is over. Thank you so much for your kind comments and your condolences. I took a week and half at my Coastal Cottage to decompress from this, the hardest school year I've had in 20 years. I'm glad this post was helpful! I think having a mission statement is super for the community but even more effective yourself - it helps you focus on your purpose. Sometimes I re-read mine to make sure it's still on point - and to make sure I'm focused on my priorities. I am currently a music /French teacher who has begun my course work to become a teacher-librarian. I love what your blog has to say. I have read numerous posts and look forward to reading many more. What excellent advice for people beginning out in the library, or even teaching for that matter. I wrote them out here because I want to remember those four things myself. When you said work hard I was glad that you also said work smart and don't be a martyr. It is so easy as a teacher of any kind to get so wrapped up in being the best teacher we can, that we lose our balance of life. Your advice was intelligent and blunt which I think is great. It spoke to me! Reflecting on what you did that year is so huge. Taking time to tweak and hone our craft and recognizing that what might work one time might not work the next is really important. Your reflection on the staff room made me sad. I am lucky because my staff are very positive and supportive in general and I like the staff room as a place to connect with the other teachers. But it is wise advice to know when a place you are hanging out is a negative place for you. I do strive to be a positive influence to everyone I work with; like you, I don't always succeed but trying is key. I was particularly interested on your parts about getting social, branding myself and a mission statement. Even as I read this blog post I am reflecting on what my mission statement is as a music teacher and will be as I move into being in the library. Thank you for all the practical suggestions, ideas and resources for how to delve into creating a brand for myself. I plan to use these in the future as I do this for my own teaching. It was great to remind us to look into our own district's policy on social media so we start out meeting their expectation too. But my favorite thing you mentioned was how you use a social media presence only for school. This really resonated with me. My family and I choose to keep a low profile on social media on purpose so we can have privacy for our family and reduce the amount of media time we have in our lives (Mentioned in an other post of yours). It really encouraged me that there is a way to create a presence for my school community while not making it personal. I appreciate your wise advice and as a teacher-librarian rock star in the making, I look forward to reading more of your ideas and thoughts. Hi Liz, WOW. I have been rendered unusually speechless and humbled by your kind comment.Thank you. When you do decide to start up your Twitter please reach out to me and reference this comment and I will be proud to follow your adventures! Thank you for sharing your story. It is important and cathartic to let your feelings find a space outside of your head. I am still struggling with the loss of two of my high school students--Since my school was advisory/internship based, I had the same kids for all four years as their primary teacher. I actually just wrote about what happened to them, but deleted it. Maybe someday I will be brave like you and share the story to find a space to let it be. I am now a elementary school librarian and love my job. It is important to keep doing what makes you happy. I had a wise principal say to me, "When you are sad or mad about things you have no control over, go to the kids who make you smile and get you to focus on the good in the world." He was right. I wish you all the happiness in the world. I believe the ones you lose are never far from your heart, but they want you to keep moving and that is just what you are doing. Dear Kim B, Thank you for your comment and more for your kind words of comfort and support. ""When you are sad or mad about things you have no control over, go to the kids who make you smile and get you to focus on the good in the world." I wish I knew the name of this principal so I could credit him properly. I wish I knew your Twitter or Instagram name so I could follow you. I think we would be kindred spirits. That Anne girl of Green Gables had a lot of wisdom. On your tragic loss. I encourage you to write it out. Don't delete your feelings. It doesn't work. Just maybe don't publish them. But I can tell you that writing and updating this post and this tragedy has been helpful and healing. This quiet secret sharing. Not as a standalone blog post. That would seem somehow wrong or even exploitative - and yet, and yet, and yet....maybe it could be helpful? Because this reached you, and you reached out back to me, and I feel better for it. Wouldn't that be a good things? Because maybe we're helping each other by telling our stories. To start a conversation about school grief. To know that out there, in this world that can sometimes become so toxic, sad, discouraging with the inevitable and ongoing, since ancient times war, cruelty, political meanness, senseless violence and chaos , that horrible helpless feeling -- that there ARE WONDERFUL people out there who matter. Like your principal said, "go to the kids who make you smile and get you to focus on the good in the world." You matter. Our kids matter. Our schools matter. It's not weak to show feelings. But for me, it *is* super awkward. Thank you again, Kim B...whoever you are...for reaching out. You can find my email and if you would ever like to reach out. I'm here for you. As I take courses to earn a degree in School Library Media and Technology, I find myself a bit overwhelmed when thinking about all the roles of being a librarian. I love the information I am learning and look forward to this new challenge. However, I am worried about transitioning into being a librarian and find myself more fearful than I was as a first year teacher. I think the biggest difference is a librarian has more eyes on them and more people depending on their abilities. I am thankful I stumbled upon this blog post because I find the information reassuring. I appreciate the suggestions of admitting you are new and focusing on one thing. As I mentally prepare myself for a change in responsibilities, you have pointed out simple ways to be successful while maintaining the respect of others. Just like in teaching, it is ok to perfect your craft over time. I plan on referring back to this post when I feel pressure to perform! Dear, J. Flynn - Thank you so much for your comment! If you ever have any questions or need any help, you can email me or hit me up on Twitter. Good luck to you & it's all good to admit you're new, admit when you don't know something - but say you'll try and find out, and to only really focus on 1 big thing at a time. Kids first, always. The teachers, yes they are watching you, they will always watch you because we have a very visible job. Just try and be as transparent as possible, and do tell them now and then that our job NEVER includes reading books in school....unless it's to kids! LOL Cheers! Sweet Gwyneth, I came back to check on you in 2019 and to see how your heart was. I had this feeling you would post a p.s. this year. And you did. God bless your sweet little heart for loving, writing and encouraging those around you to do the same. Lauren's story has interwoven into yours for a reason. When the blue does come back, embrace in for a moment and recognize that it has a legitimate reason to be there. Then reach out and let someone help walk with you on your path until the blue seems further away and not as strong. I have confidence you can do this and praying you forward. PS. I'm following you now on Twitter.